Since conception over 18 years ago we have grown to become one of the largest suppliers of original cast iron radiators in Europe. Resulting from our investment in large stocks of and a understanding of the refurb process required on original radiator we can provide high quality fully refurbished products compatible with modern heating systems. 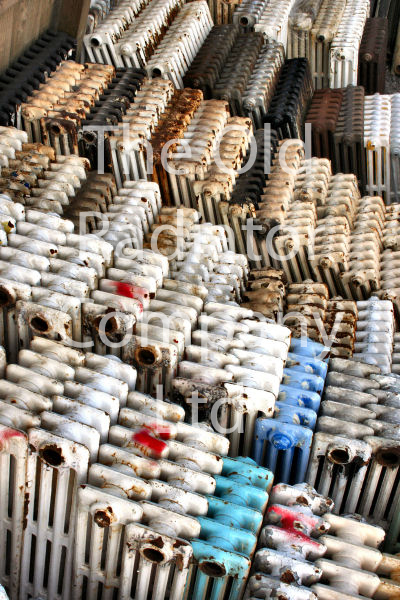 With an estimated 3,000 radiators awaiting restoration we are able to fulfil all our customers needs. 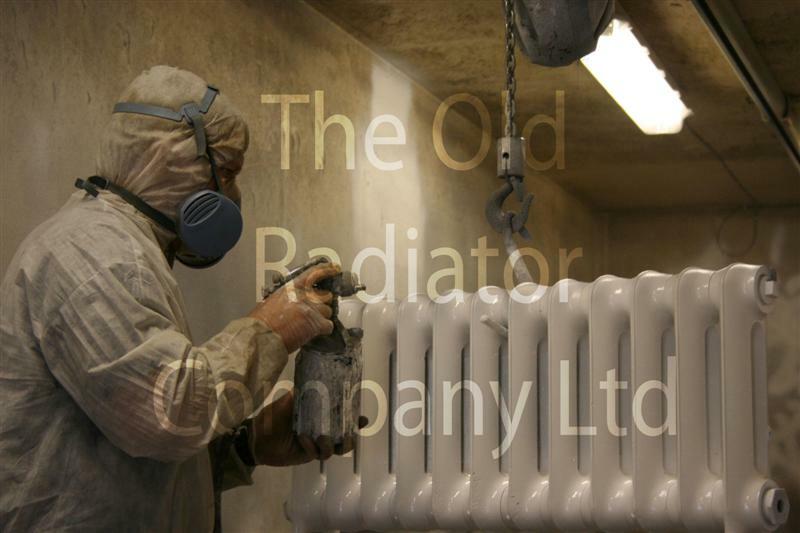 The Old Radiator Company can refurbish customer’s radiators and/or we can supply complementary tested, refurbished, primed radiators from our large stock. 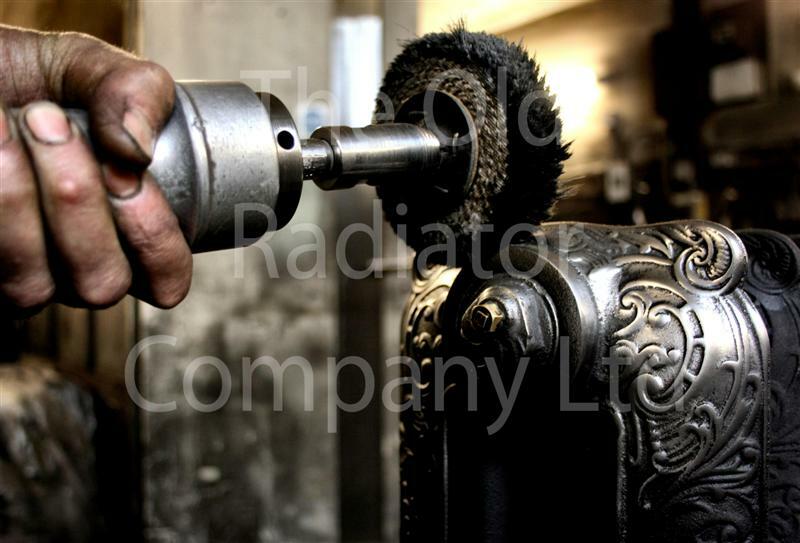 For Old Radiator Company supplied radiators we offer a “ready to go” or a customer bespoke service. For a refurbishment of a customer's radiator we are able to collect from site in one of our own vehicles and deliver back when the refurbishment is complete. Contact us when you know the radiators will be disconnected and accessible on the ground floor to agree a collection date. Collection is specified as kerb-side only, our driver will assist you at his discretion. Please ensure you have sufficient labour on site. The first stage of the process is to remove the old fittings. In the past heating systems were gravity fed where the inlet was at the top of the radiator and the outlet at the bottom. Please inform us in writing (email) if you require your existing position / fittings to be retained. Next the radiators are flushed internally using a high pressure water system ensuring any sediment in the radiator is removed as far as is possible. We advise, as is common practise with any central heating system, that a filter be installed in the pipework. The original fittings are now replaced with modern equivalents so ensuring compatibility with the customer’s central heating system in size and orientation. All radiators supplied from The Old Radiator Company will be fitted with new 15mm bushes with bottom feed and return unless otherwise specified by the customer. Pressure testing is an important part of our quality control procedure to detect any pinhole leaks and hairline cracks not visible to the human eye. The radiator is pressure tested using air to 4Bar giving a margin of safety as most central heating work at 2Bar. 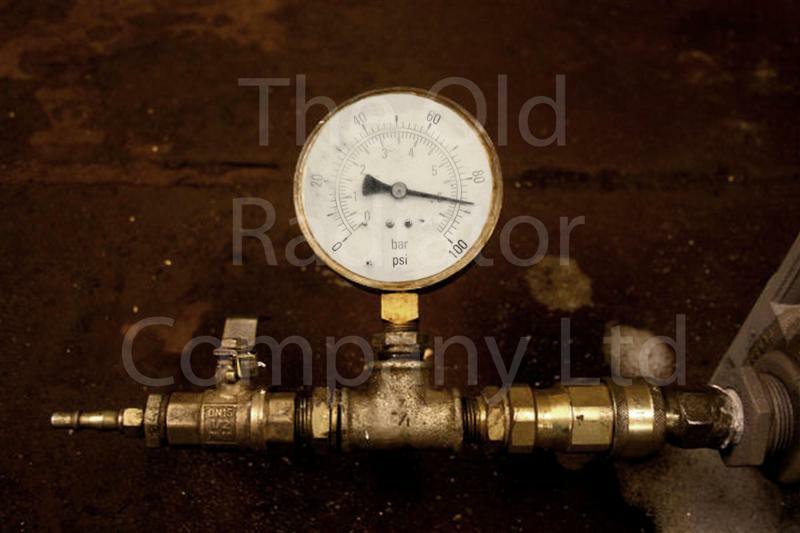 Any pressure drop indicates a leak which is located and repaired or replaced if possible and the procedure repeated, otherwise the radiator is rejected. For a customer refurb if we fiind any damaged or leaking sections, our skilled workforce can remove sections and rebuild the radiator to replace the damaged any that are damaged. We will talk to you first to discuss the options and any cost implications. Note : Pressure testing at a higher pressure than 4 bar may damage the radiators and we do not advise this practice. The radiators are shot blasted this efficiently removes the layers of paint exposing the bare metal. This process is safer and more environmentally friendly than alternative processes using caustic soda. Following the blasting process the radiator is pressure tested again. If a customer supplied radiator fails at any stage a member of the Old Radiator Company will contact the customer to discuss the options and any additional costs before proceeding. 1. Painting in the Old Radiator Company house colours (included in the price). 2. Painting in eggshell colourmatched customer specified paint. The radiators can be painted in either the Old Radiator Company stock colours or customer specified paint. The costs quoted include the painting in the stock colours (please see the section on Finishing to see the latest colours) for a customer specified colour there is a charge of £50* for one radiator which reduces to £30* per radiator for more than one radiator in the same colour/finish. Painting in the Ardenbrite metallic paint is charged at £150* per radiator. Painted radiators will arrive wrapped ready for delivery. This process carried out off-site is a labour intensive process which involves hand polishing which highlights the detail of the casting. The radiator is then oiled to protect the finish, this results in a truly striking finish. The cost of this finish is £19.50* per section of cast iron radiator. The only maintenance required is to wipe the surface with a small amount of ‘WD40’ a couple of times per year or as the customer requires. Please note the polished surface will tarnish if exposed to moisture. Polished radiators are delivered unwrapped but with a thicker layer of "wax" we suggest cleaning with WD40 to remove this when the radiator is put in its final position. We will arrange a convenient day with you and confirm either a morning or afternoon delivery. On the day our driver will call you when he is predicted to be an hour away from site. Delivery is specified as kerb-side only , our driver will assist you at his discretion. We are unable to take radiators up or down steps or stairs. Please ensure you have sufficient labour on site. Refurbishment of customer's supplied radiators with feet attached is £250* per radiator for a radiator length up to 1m and for radiator lengths greater 1m and less than 1.5m the refurb cost is £275*. For radiators without attached feet the pice is £275* per radiator for radiators up to 1m in length and £300* for radiators greater than 1m in length and less than 1.5m. Collection & delivery is from £95.00* each way per order (assuming the order fits into our lorry). Please advise if radiators are over 1.5m in length for a quotation. The driver may refuse to load radiators over 1.5m in length or we may refuse to carry out the refurb if we have not been notified and approved the collection. This is for health and safety reasons. The lead-time is currently 6-8 weeks from date of collection (*all prices exclude vat @ 20%). Please contact us to discuss what is possible if you require a quicker turnaround. We can also supply wall ties (painted or plated metal finishes) and thermostatic or manual valves in a variety of metal finishes priced from £95* plus VAT to compliment your refurbished radiator, please either look on our finishing touches page or phone us for more details. Customers are more than welcome to drop off and collect radiators, we will only accept the delivery of palletised radiators which can be forklifted from a van/suitable vehicle (and the finalised radiators would also be on pallets), please let us know if this is a problem and we can arrange something suitable.